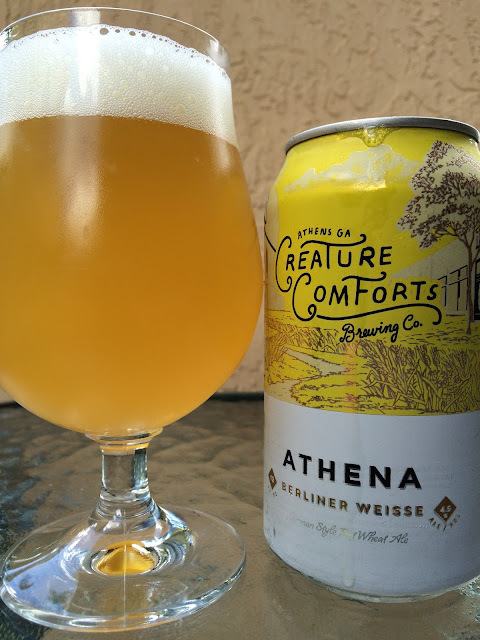 My mother arrived with a sixer of Creature Comforts' Athena Berliner Weisse a few days ago. It was a gift from my sister who lives in Atlanta, close enough to their Athens, GA brewery to be in the limited distribution area. She told me she got the last sixer of the only Creature Beer left from behind the counter at the liquor store. Hmmm, doesn't look good for us Miami! Can design is nice. It looks like Athena is approaching the brewery, designed to look like a theater that is "Playing Tonight, Lacto Bacillus!" 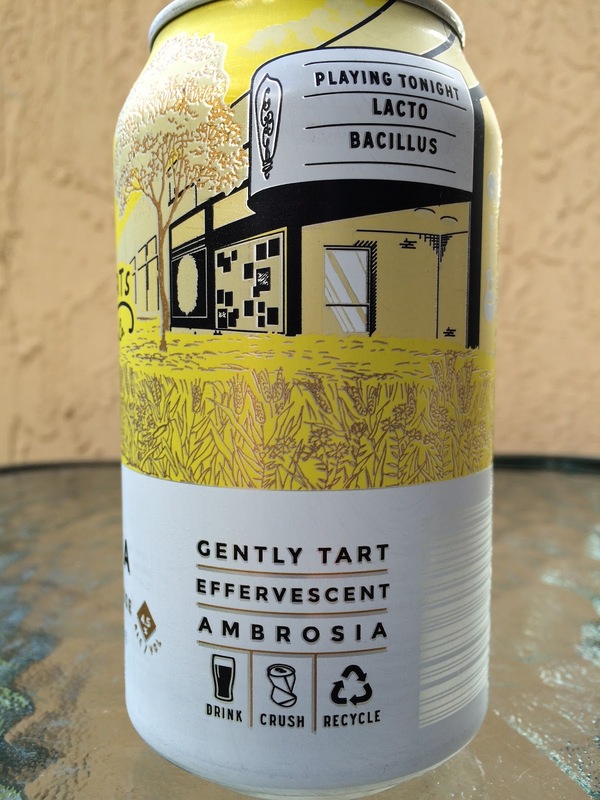 Described on the can as "Gently Tart, Effervescent, Ambrosia." Sharp lemon aroma, full of yeast with a lightly sweet, fruity background. Tart flavors in the beginning, not puckering. Lemony with some soft fruit in the background. A little salty perhaps. Not acidic but has some white wine character and decent bubbles. Super refreshing. I appreciate the perfect tartness, not overdone. Simple but a winner! Pick me up another sixer on the way to Miami!